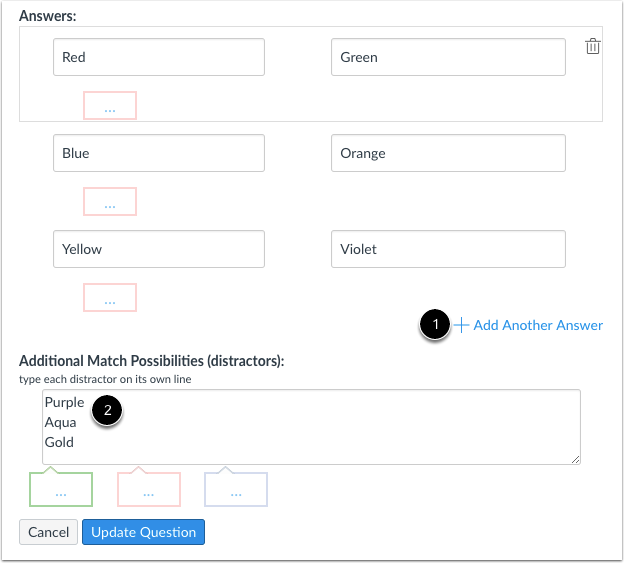 You can create a matching question for your students. Note: Matching questions only support text at this time. 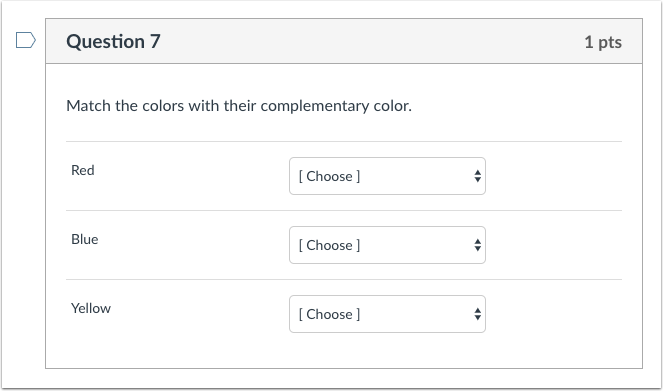 Click the drop-down menu and select the Matching question type . Repeat steps 2 and 3 until all matches are paired. If you want to add another answer, click the Add Another Answer link . 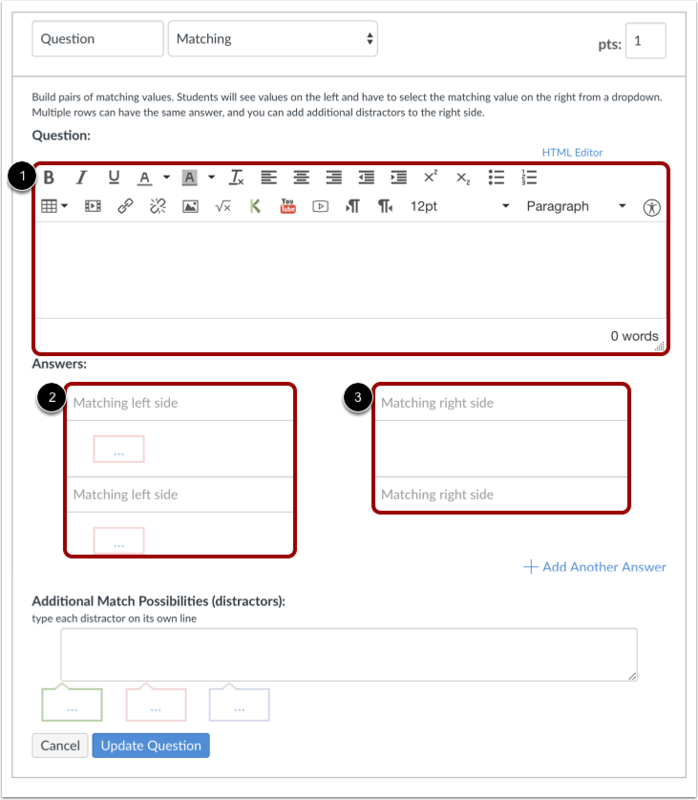 To add incorrect answers as distractors, enter each item on its own line in the Additional Match Possibilities field . When answering these questions, students will see a randomized list that includes these distractors and all correct answers entered in the Matching right side fields. 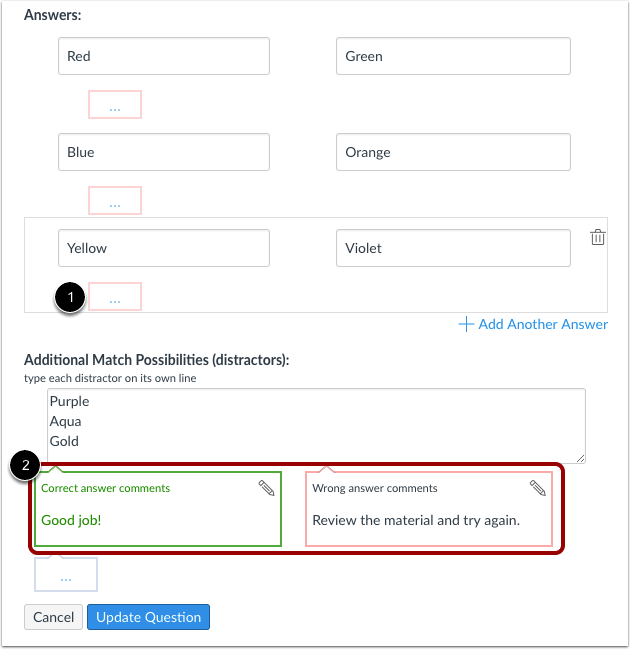 You can choose to give students feedback in the answer comments fields. To leave feedback for a specific answer, click the comment field beneath the answer . All answer comment fields are red. This is what students see when they encounter a Matching question in a quiz. 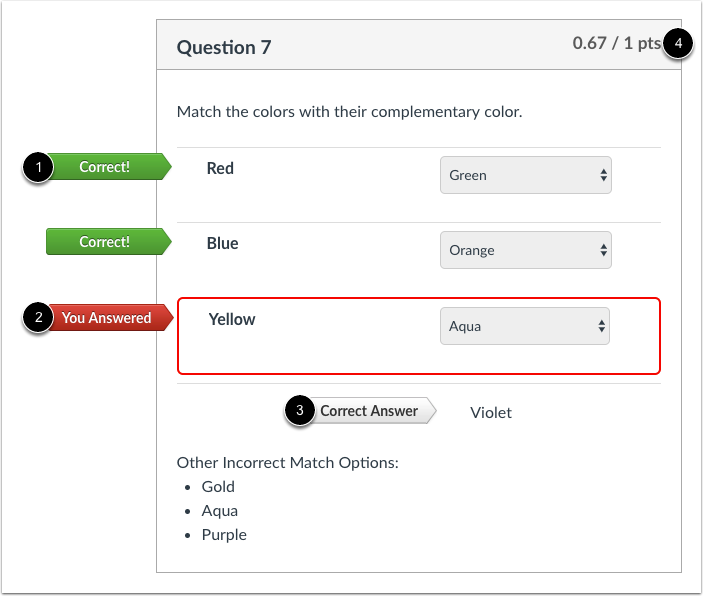 If you allow students to see the correct answers, correct responses are marked with a green flag . Incorrect responses will be marked with a red flag  and any correct answers not indicated by the student are marked with a gray flag . Partial credit will be assigned if some of the blanks are completed correctly . Previous Topic:How do I create Likert scale quiz questions? Next Topic:How do I create a Numerical Answer quiz question? Table of Contents > Quizzes > How do I create a Matching quiz question? Re: How do I make a test with matching questions? Re: Is there a way to use equation editor in a matching quiz? Re: Better Matchmaking Quiz Options? Re: When you create a matching quiz question, is it all or nothing to receive the points?